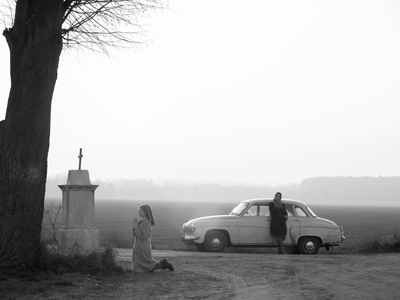 Directed by Pawel Pawlikowski, Ida is a gorgeous and thoughtfully shot film that chronicles the journey of two women as they discover terrible truths that ultimately dictate how they choose to live their lives moving forward. Set in the 1960s in Communist Poland, orphan Anna (Agata Trzebuchowska) is about to take her vows when she learns that she must visit her aunt, Wanda (Agata Kulesza). The news of Wanda is surprising to Anna, who up until this point, believed she was alone in the world. When the two meet, Wanda is confronted with a past that she has longed tried to surpress through alcohol and men. But she is also a court judge, responsible for giving the justice she has so clearly lacked in her own life. Anna soon learns her true identity, that she is in fact Ida, the daughter of Jewish parents, whose ultimate fate during the war is unknown. Bolstered by Ida’s determination, Wanda agrees to assist her in finding the truth about her parents, and Wanda’s own sister. The beauty of Ida is the film’s quiet, contemplative approach to these two women and how the war has affected their lives in different ways. It made Ida an orphan, and it turned Wanda into a woman who lacks the passion she once had fighting for her country. A passion so strong she left her family in the hands of relative strangers for safe keeping. A decision that continues to haunt her. Ida views this journey as a necessary catharsis; the last step before dedicating her life to her chosen path. Wanda wants the security that Ida seems to possess, but as the journey progresses and the more is learned about their family’s fate, the more detached Wanda becomes. 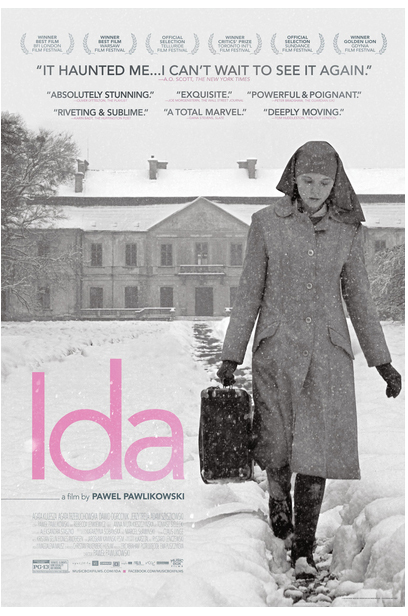 Trzebuchowska is strong and subtle as Ida, the perfect nature of a woman who has spent her entire life in a convent. Kulesza is wonderful as Wanda, a woman who is suffering, but still has the last remaining sparks of a strong woman who has witnessed atrocity and managed to survive and make a difference. The performances and motivations of these characters are further supported by stunning cinematography and cold, isolated backdrops of a Communist landscape. Director Pawlikowski constructs some of the best shots I’ve seen in recent memory and are reason enough to watch this film. The lingering message of Ida lies with how one chooses to handle truth, painful as it sometimes is, in their life, whether they are learning about it for the first time as Ida, or have known for many years but refused to seek it out as Wanda. How does truth continue to be a force in life once it is known, and is a ‘normal’ life even a possibility afterward? Ida has some dark answers for these questions, but like any great film with talented performers, the ultimate conclusion is open to debate. Ida opens today at the Ritz Five and the Ritz Voorhees.